Leaving LIFE projects on predators in Italy? Just propaganda! Some months ago, the Italian Veneto region decided to leave the LIFE Wolf Alps project. Their motivation in this political decision is completely irrational and not legal. It states: “We will never participate in the future to any LIFE project not including financing to rural development”. Of course, LIFE will never finance rural development. LIFE finances biodiversity conservation while the EU already pays agricultural and rural development with very large amounts of money. Obviously, the Veneto region cannot take any decision binding for the future administrations. And, of course, a political decision cannot invalidate the official contracts with the EU and with other partners. Indeed, after this decision, the LIFE project is continuing and people involved in the project are working for it as normally used to be. It has been just a political exploitation due to electoral motivations. A few days ago, the autonomous province of South Tyrol took a very similar decision, even worse and more ridiculous. South Tyrol made a political decision to stop as a partner in the LIFE Wolf Alps and also from the LIFE Ursus project. The decision was made, supposedly to get out from “the project for reintroducing wolf in the Alps”. Any informed person should know better that both projects, especially LIFE Wolf Alps, are absolutely not (re-)introducing wolves. Besides, the LIFE Ursus ended in 2004! And South Tyrol was not even a project partner. Bolzano just signed a protocol on bear under the umbrella of the Ministry. The politicians of South Tyrol decided to take this ridiculous decision in order to give a message to rich local breeders. General and regional elections in Italy are coming and predators are very good tools for catching easy consensus in mountainous regions. 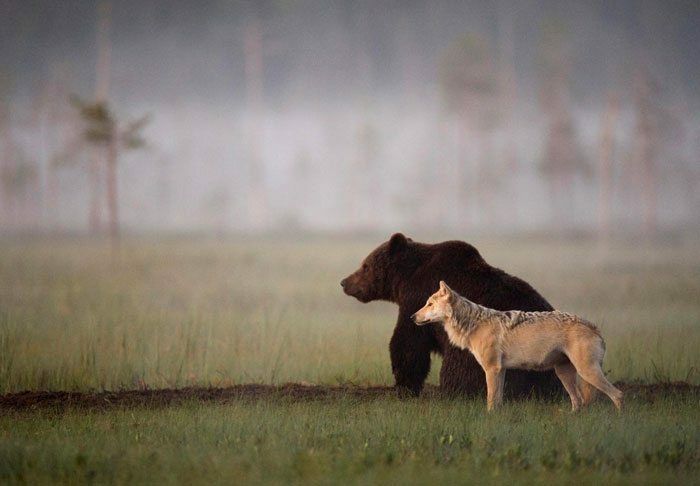 It could be also a message for the Government for the next discussion of the Wolf Plan. It is clear that large carnivore protection is not a priority for of local Italian politicians. Also, the Italian media, both at national and local level, are reporting decisions and news about carnivores without any validation. This leads to misinformed people, making the justification of large carnivore protection even more difficult in Italy.